Source Citation: Maine State Archives; Cultural Building, 84 State House Station, Augusta, ME 04333-0084; Pre 1892 Delayed Returns; Roll # 50. Ancestry.com. 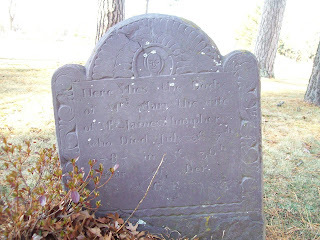 Maine Birth Records, 1621-1922 [database on-line]. Provo, UT, USA: Ancestry.com Operations, Inc., 2010. Original data: Maine Birth Records, 1621-1922. Augusta, Maine: Maine State Archives. This Sunday's obituary is for, William Brooks Cabot, who was my grandmother's uncle. The following was transcribed from a clipping in my grandmother's Holbrook Family genealogy binder. The obituary date is January 31, 1949. BOSTON, Jan. 31--William Brooks Cabot, engineer and explorer, died today at the age of 91. As a young man he served as an assistant engineer during the expansion of the Union Pacific Railroad in Idaho and Montana. Born in Brattleboro, Vt., Mr. Cabot attended the Sheffield Scientific School at Yale and in 1881 was graduated from Renasselaer Polytechnic Institute. Mr. Cabot conducted explorations in Northern Labrador, where he lived with and studied the Nascapi Indians. Later he published a book on his explorations. In recent years he made a study of Indian place names in New England and collected material which will be published later. After returning from the West Mr. Cabot became a partner in the firm of Holbrook, Cabot & Rollins, civil engineers and contractors. He retired from business in 1908. He was a member of the Boone and Crockett Club and the Explorers Club of New York, the National Geographic Society and the Royal Geographic Society of London. Surviving are a son, Norman Cabot of Providence, R.I., and three daughters, Mrs. Anna L. Coolidge of Sandwich, N.H.; Mrs. Eleanor Lane and Mrs Mary C. Macy, both of New York. The text of this manuscript was transcribed from a typescript document in my grandmother's genealogy binder on the Holbrook Family. Ellen M. Brooks was born about 1817 to William S. and Eleanor (Forman) Brooks. She died about 1884. George Jones Brooks was her brother and was born about 1818 and died about 1886. Ellen and George lived in Brattleboro, Vermont. There is no date or author provided with the article. Unfortunately, the end of the document appears to be missing, but I will share the portion that I have. The importance of "Aunt Malvina" and "Uncle George" to the lives of the children can hardly be over estimated. To those who have inherited the treasure of their love and generosity, it seems a poor family that is without an unmarried aunt and uncle. But for them there would have been little family unity. They held the scattered branches together by their feeling for all. While William and Horace Brooks were living in New York, Frank Brooks and his family, practically unknown to us, were for many years in San Francisco at that time a month's journey away. The Cabots' interests were in the South the first years after their marriage, and the Goodhues were the only ones to remain steadily at home. Gradually, there was a more frequent return to Brattleboro, with its early associations, which would not have happened had Aunt Malvina made her home elsewhere. New relationships through marriage into other families, and the coming of children absorbed fathers and mothers in what was peculiarly their own, but when there were nieces and nephews in each household living near her, Aunt Malvina's interest in their welfare bound all more closely together. She nursed the sick with remarkable judgment, taking charge of households when mothers needed to go away, and visited her sisters every day with the deepest sympathy in everything that concerned their lives. When children's diseases prevailed, a shelter was found in Aunt Malvina's house for those who wished to avoid contagion. The Horace Brooks children were sent to her care when their parents travelled abroad, --they were in boarding school in Brattleboro, because she was near at hand. She shared our joys and burdens and sorrows, as the fairy godmother, and was generosity itself in gift-making. She made a custom of giving us birthday gifts of money in larger sums than our parents could afford, with the request that the amount was to be concealed, and we were to spend it according to our heart's desires. Our luxuries came from her. The eldest daughter in each family received a diamond ring from her at the age of eighteen. Trips were undertaken at her expense, even as far as Europe, although her income never exceeded $3000. She often interceded with parents for larger liberty and opportunity for us, --and her beauty and distinction, her style in dress and living, added to her importance in our eyes. This Sunday's obituary is for Mrs. Dorcas (Wright) Edwards who passed away on 14 March 1810. She was the daughter of Timothy and Ruth (Cook) Wright and was b. 1 Sep 1762. She married Eli Edwards on 8 Aug 1785. I located a transcription of this obituary in my grandmother's (Grace Ware (Holbrook) Haskell) notes in her Goodhue Family Binder. The newspaper name and date is unknown. Dorcas (Wright) Edwards is my fifth great-grandmother. DIED - In this town, on Thursday the 15th inst. Mrs. DORCAS EDWARDS, wife of Mr. Eli Edwards, aged 47 years. However averse we may be to eulogy and fulsome panegyric, justice requires that those virtues which stood forth pre-eminent in the deceased ought not to pass unheeded by. If piety, benevolence and virtue, are objects worthy of emulation surely then we behold her while living, the mirror in which they were reflected. During a distressing illness she exhibited a model of patience and resignation to the Divine will. "She sparkled, was exhal'd", and we have reason to believe, is now an inhabitant of those bright abodes, where sorrow and lamentation enter not. And may that Being who "tempers the wind to the shorn Lamb," comfort and console the afflicted family, and mourning relatives. The following text is transcribed from a handwritten note in my grandmother's Goodhue Family Binder. The note is written in pencil, so I presume it was previously transcribed by my grandmother. In the upper right corner of the page it says "From Goodhue notes". Reverend Joseph Brown, mentioned in this note, is my sixth great-grandfather. On a bright day of July 1914 - as a quest of my cousin Mrs Frederick Holbrook, we motored from Brattleboro to visit the old home of my great grandfather the Rev[erend] Joseph Brown at Winchendon Mass[achusetts] where for 21 years he was minister of the old church. At Fitzwilliam we stopped at an antique shop which was in one of the 2 old large taverns each of them on the edge of the village common - the importance of the town in stage days was indicated by the size of these taverns. All that remains of the old church on the common on the hill is a stone marker - Here it was that our gr[eat] grandfather preached during those long years which ended in the famous controversy over possession of the Town records, in which he proved as a writer of the day has stated "too smart for them all." Here they suffered from the long cold winters & at one time from famine. Not far from the common stands a fine large square red house, the oldest in Winchendon which was owned by the Rev[erend] Jos. Brown - It stands well along the roadway overlooking a wide view, & is shaded by fine elms. Here grew up a large family of little Browns, one of whom, married Polly (Mary) who married Francis Goodhue living at Swanzy NH, Wethersfield VT & finally in 1811 moving down the Conn[ecticut] R[iver] to Brattleboro. No one knows where Rev[erend] Jos. Brown is buried but his wife lived w[ith] her daughter & family until her death. 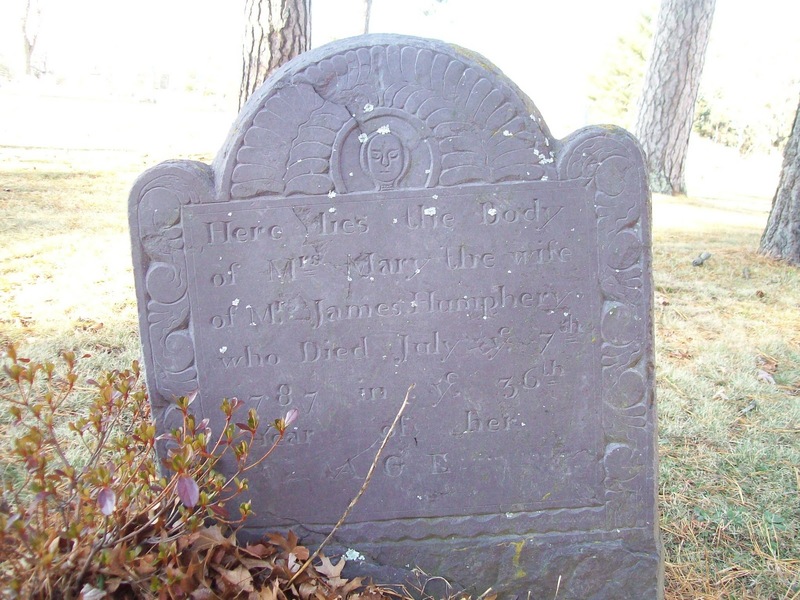 Here grave is in the old Goodhue lot (Mrs Sarah Brown) at Brattleboro. In the large red house at Winchendon doubtless stood the fine mahogany clock br[ou]ght from the Brown's home at Lexington wh[ich] was beloved by all the Goodhues in the 2 family homes on Main St[reet] in Brat[tleboro] & which is today in the home of the present senior Francis Goodhue at Church Lane Germantown Pa. (1924). This week's obituary is for Dr. Alfred W. Haskell, who was the nephew of my great grandfather, Frank Owen Haskell. This obituary was transcribed from a clipping in my grandmother's scrapbook and is dated Nov. 29, 1957, newspaper name is unknown. Dr. Alfred W. Haskell, 81, of 142 High St., former director of the Maine Institution for the Blind, died last night. Dr. Haskell was one of Portland's earliest medical eye specialists. He was widely known in this field throughout Maine and had a distinguished record in eye surgery in army hospitals in France during World War I. He remained active in the Medical Officers Reserve Corps, achieving the rank of major in 1924. He was born in Portland, Feb. 8, 1876, the son of Charles A. and Mary S. Haskell. He attended local schools and graduated from Bowdoin Medical School in 1900. He was a member of the Maine Medical Association, the American Medical Association, the Portland Medical Club, the Portland Club, and a former member of the Portland Board of Health. Dr. Haskell was a Mason and a former president of the Past Commanders Association of the Harold T. Andrews Post, American Legion. He was appointed director of the Maine Institution for the Blind in 1931 by Gov. William T. Gardiner. Surviving are a sister, Miss Louise F. Haskell, with whom he lived, and a cousin, Merrill Haskell of Yarmouth. Funeral services will be held at 2 p.m. tomorrow in the chapel of the State Street Congregational Church. The Rev. James W. Lenhart will officiate. Interment will be in Evergreen Cemetery.